Choosing a new website for your Parish Council can be a daunting task. We deal with many Parish Councillors and Clerks and each new enquiry that we receive illustrates to us just how confusing the whole thing can appear. 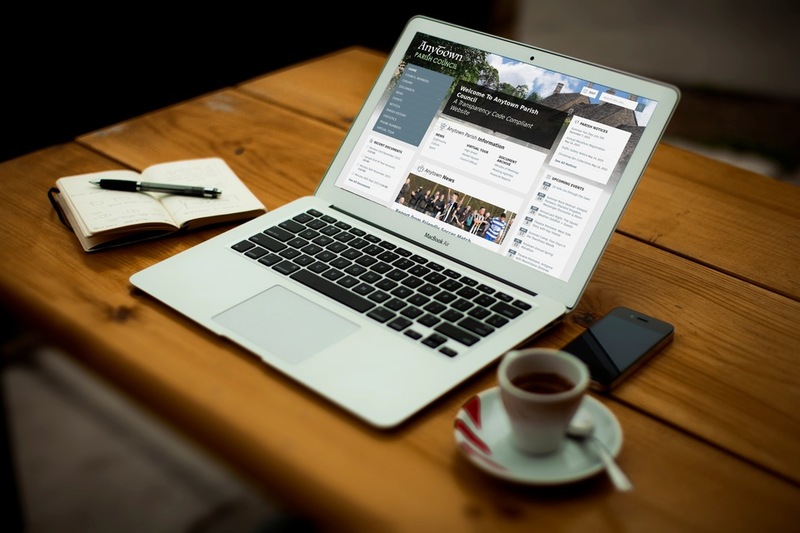 With the regulations and criteria constantly changing, we understand that it can be quite a task for a Parish Council to know what features and functions a new website should have. We often receive tender invitations from Parish Councils who are looking for a new website provider. The specification is sometimes quite clear whilst other don’t even include the features necessary for compliance to GDPR or the Transparency Code. Creating a specification and inviting tenders is not only time consuming but also often costly. Having been in the website design industry for many years, we’ve seen just how the tender process usually results in a greatly inflated quote. Why is this? As you can imagine, a web design company may receive several tenders per month, each specific in its own right. The cost of working through the specification and then submitting a tender is time consuming and this cost is often reflected in the final price. In addition, as each website is bespoke, it needs creating from the ground up resulting in many hours of design and programming time. In comparison, our websites are built on our WordPress powered system, We’ve streamlined our processes and as a result we’re able to deliver a fully functional Parish Council Website in a very short space of time resulting in a lower cost to your Parish and a considerably less painful and time consuming process for each officer and clerk. That has to be a good thing surely? Our websites have been designed purely for Parish Councils, we’ve included every feature that a Parish Council may need in three different packages. Each package is compliant with the transparency code, GDPR and the recently introduced accessibility code. Our websites are based on the WordPress platform, and are incredibly easy to use. We work with many Clerks across the country of varying ages and backgrounds. What we generally say is that if you can use a word processor such as MS Word then you’ll have no problem in adding posts, minutes, agendas and reports to the website. Our system is designed exclusively for Parish and Town councils, as such, they include every feature that any Parish Council or Town Council will ever need whilst ensuring that they are compliant. The one major benefit of this is that the need for a tender process is removed. This enables us to provide a complete Parish Council Website at a fraction of the cost of a bespoke website. In our experience, Parish clerks can sometimes have to step down due to family or work commitments and sometimes even for health reasons. Our system has an easy learning curve making it simple for a deputy or a new clerk to quickly pick up the baton if needed. We offer ongoing support and even produce short tutorial videos that can have a new Parish clerk up to speed in a matter of hours. Each website is securely hosted by us in the UK. We ensure that software updates are applied periodically and we make daily backups for your peace of mind. We offer a 99.9% uptime other than for planned maintenance. Easily Comply With The Transparency Code? Our websites are designed to add all statutory items as easily as clicking a button. Upload minutes, agendas and documents in seconds. Our system allows you to upload documents of any kind including PDFs, spreadsheets, documents and images. The Best Website For A Parish Council? We’d like to think so, we’ve created a hassle free, affordable, compliant and easy to use solution. Click here to read more about how we can help you to comply with minimum fuss and expense.